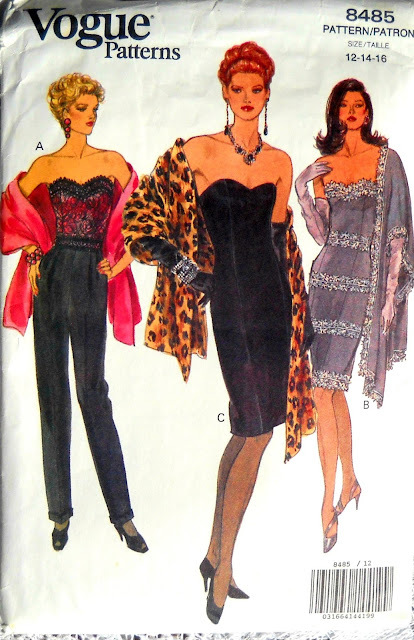 Vogue dress, top, and stole pattern, sizes 12, 14, and 16. 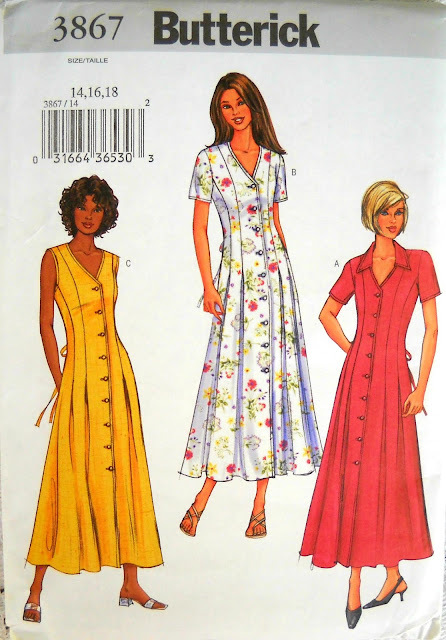 This pattern makes a dress in two views, plus a top and a stole. Dress is close-fit, lined, slightly tapered, and boned. Above mid knee or mid knee length. Princess seams, back button closure. Dress B has back zipper closure and hemline slit. Stole is self lined. Picture yourself wearing this lovely outfit to dinner and a play, or a special occasion. This outfit will inspire you to be confident, plus, you can say you made it yourself! This pattern is in uncut, factory folded condition. The envelope is a little worn. Copyright 1992. 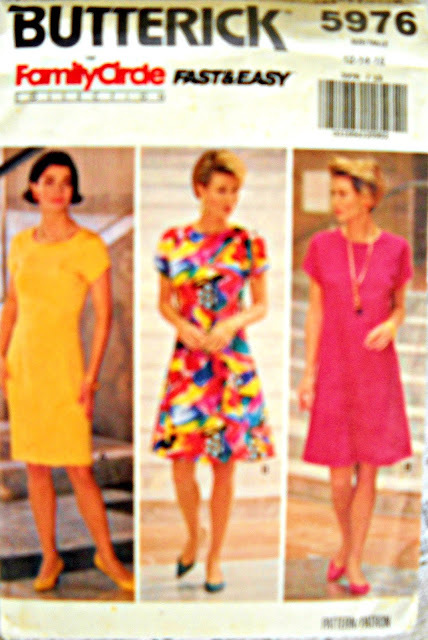 Butterick dress pattern, sizes 14, 16 and 18. 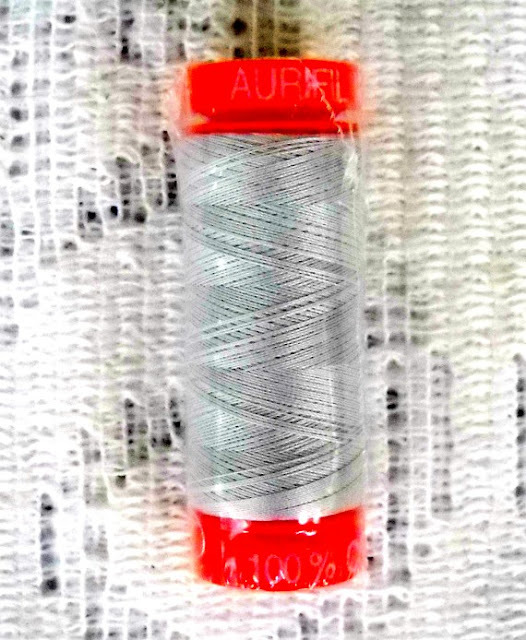 This pattern makes a dress in three views. All dresses feature fit and flare, above ankle length, princess seams, pleats, and tie ends. Variations include collar, short sleeves, and sleeveless. Picture yourself wearing this lovely dress to the office, dinner and a movie, or even just out shopping. This dress will inspire you to be confident, plus, you can say you made it yourself! 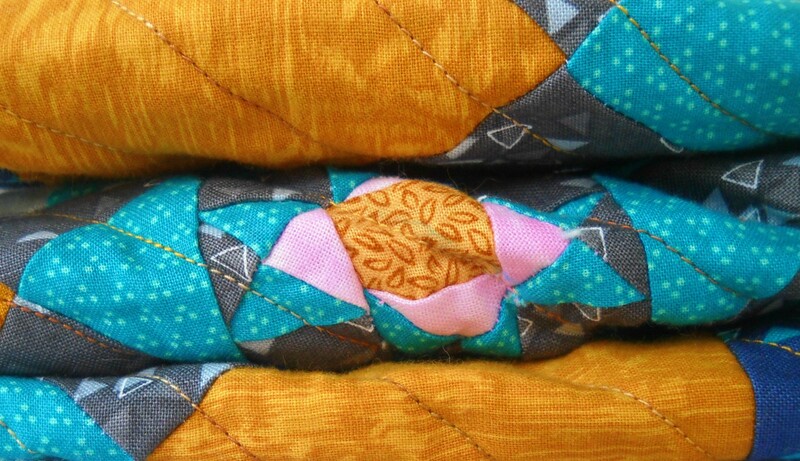 This pattern is in uncut, factory folded condition. The envelope is a little worn. Copyright 2003. 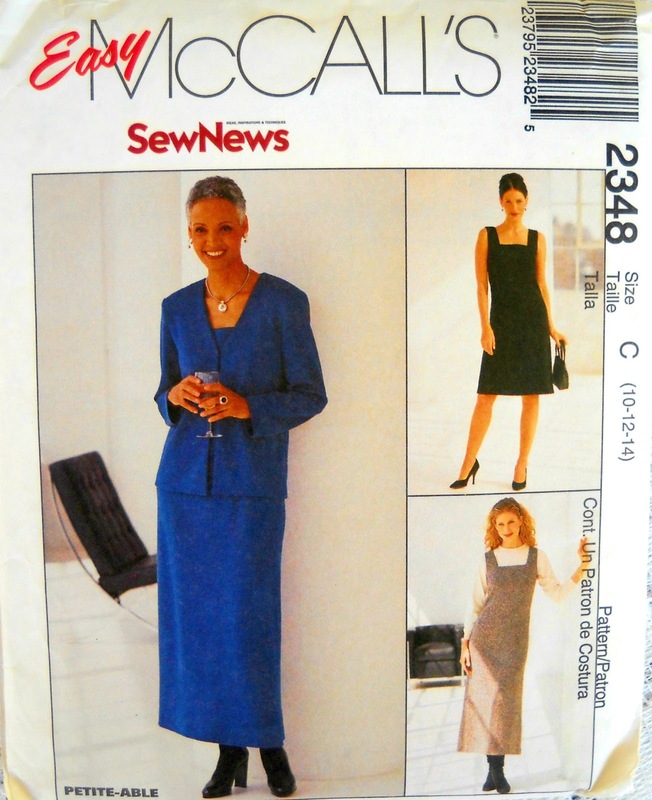 McCall's dress and unlined jacket pattern, sizes 10, 12 and 14. This pattern makes a dress in two lengths and a matching unlined jacket. Dress is semi-fitted and sleeveless with square neckline, darts and back zipper closure. Unlined jacket features long sleeves, V neck, and front hook and eye closure. Picture yourself wearing this romantic outfit to the office, dinner and a movie, or even just out shopping. This outfit will inspire you to be confident, plus, you can say you made it yourself! This pattern is in uncut, factory folded condition. The envelope is a little worn. Copyright 1999. Butterick 5976 Dress Pattern, sizes 12, 14 and 16. This pattern makes a dress in three views. Dress variations include semi-fitted, tapered, loose-fitting, A-line dress. All dresses are above knee length with back zipper closure, cap sleeves, and shoulder pads. McCall's 6884 Misses Tops Pattern, sizes 10, 12, and 14. This pattern makes a top in two lengths. Top is loose fitting with front button band, neckband, long sleeves, cuffs, and lace or eyelet trim. Optional French cuffs. 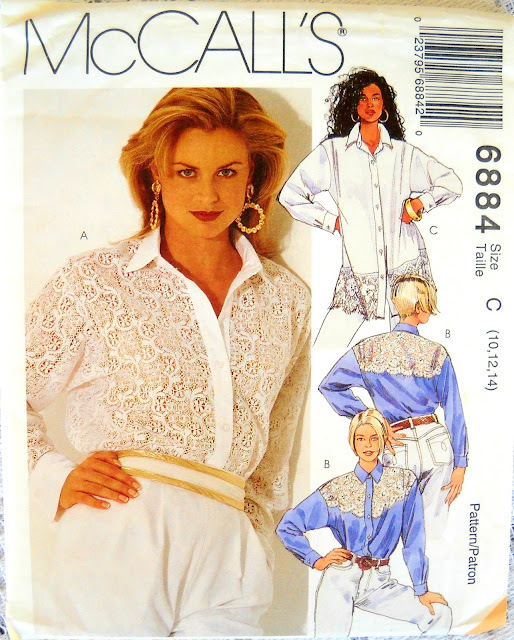 Contrast yokes, bottom lace trim, and button cuffs. Picture yourself wearing this romantic blouse to a picnic, dinner and a movie, or even just out shopping. 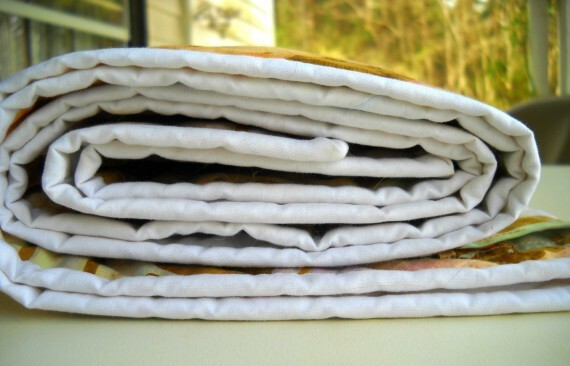 This shirt will inspire you to be confident, plus, you can say you made it yourself! 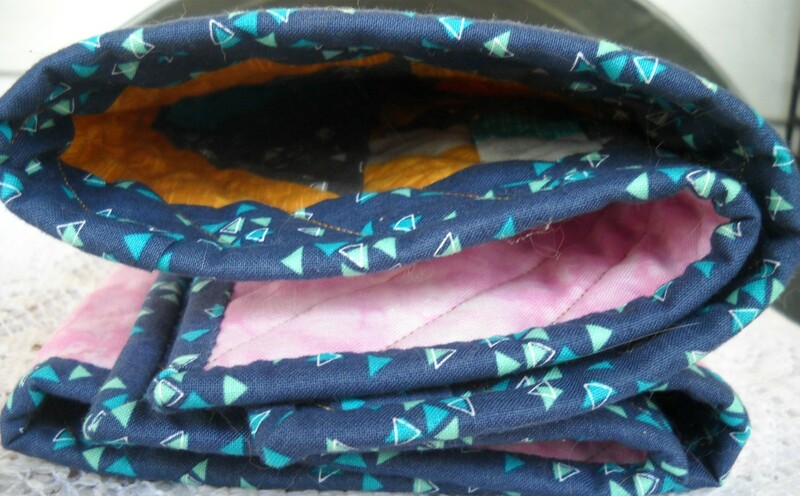 This pattern is in uncut, factory folded condition. The envelope is a little worn. Copyright 1994. 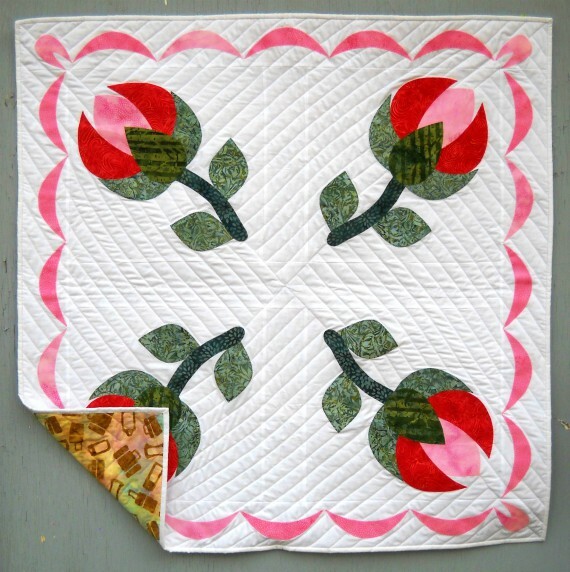 The Strippy Flowers Quilt Block Pattern is now available on Makerist! 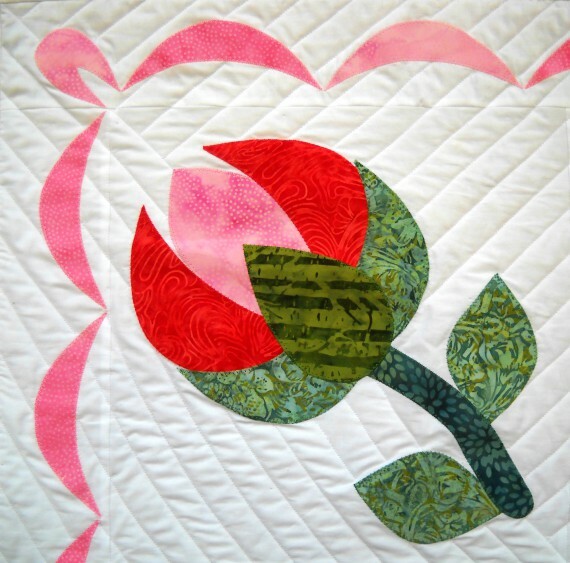 The Strippy Flowers quilt block pattern is now available on Makerist as a PDF download! 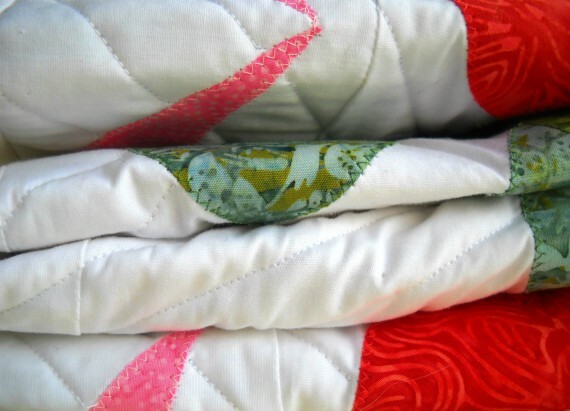 Sew one for a pretty Spring pillow, or make a whole garden of flowers for a lovely quilt. 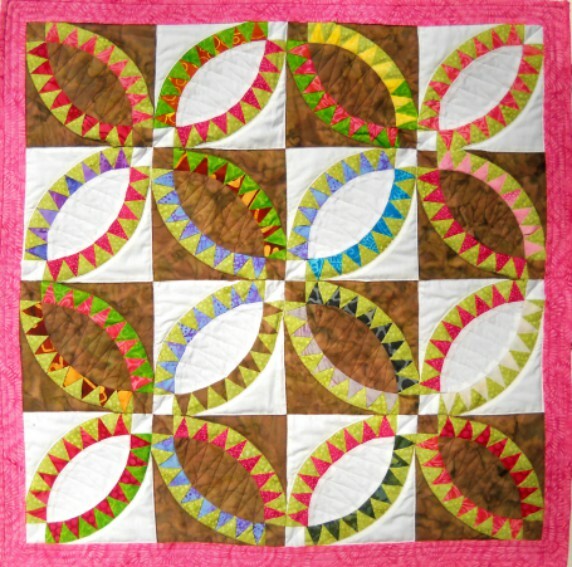 Click here to get your Strippy Flowers pattern now! Eeek! I'm a little bit behind on my posts. 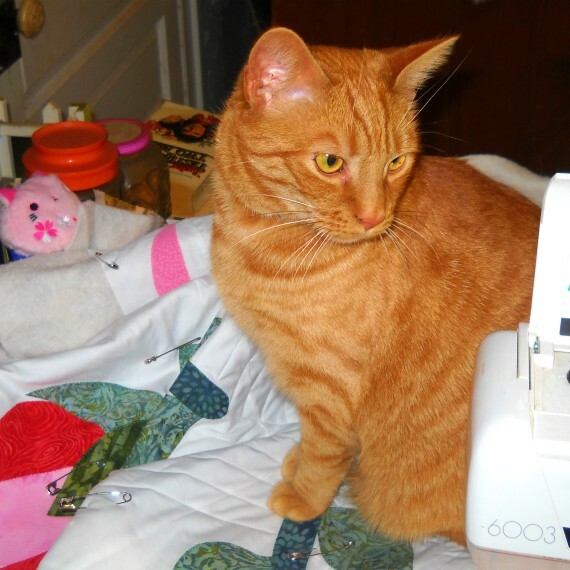 I missed sharing the February 2019 Quilty Box! But it's such a good one...I'm going to show it today. 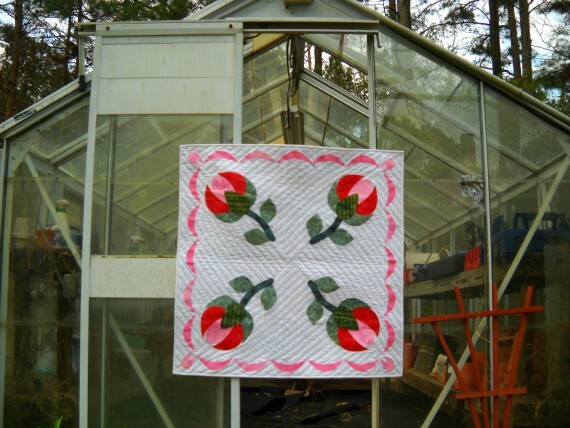 This month's featured designer is Christa Watson. 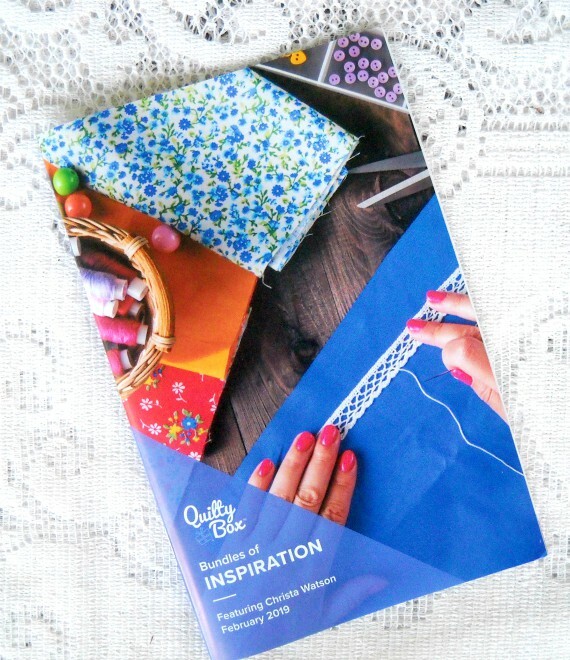 The Bundles of Inspiration magazine has a terrific interview with Christa plus her Rainbow Weave pattern - gorgeous! 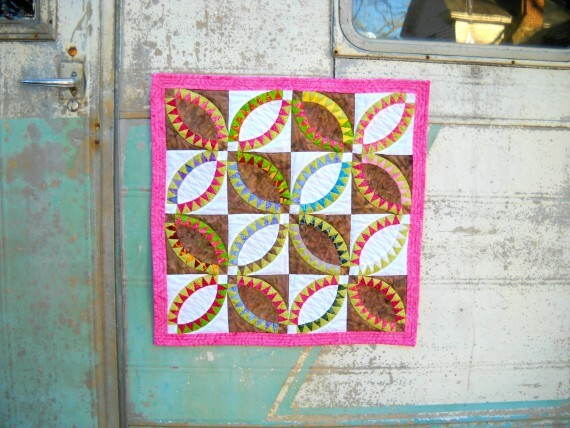 The Abstract Garden strip-pies fabric pack is bursting with color! 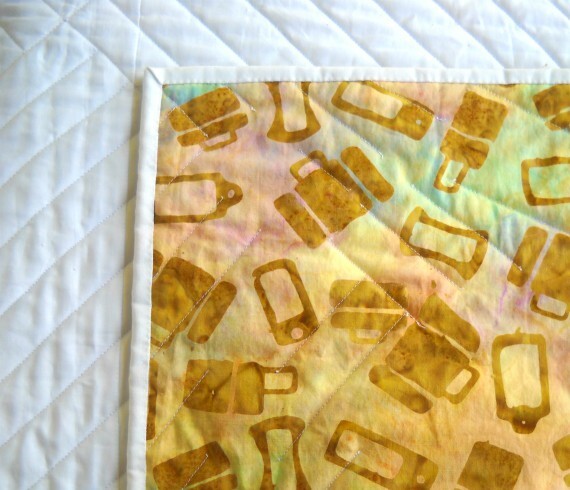 You can use this to make the Rainbow Weave pattern, but I'm thinking about making a jelly roll rug. 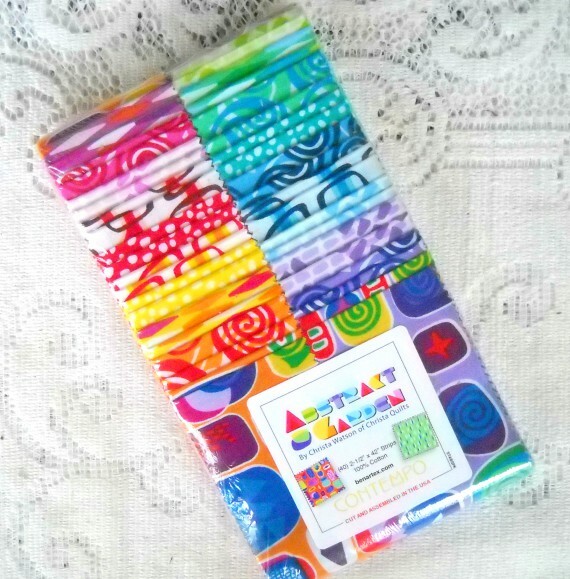 I've been wanting to try one, and these fabrics look so bright and happy. 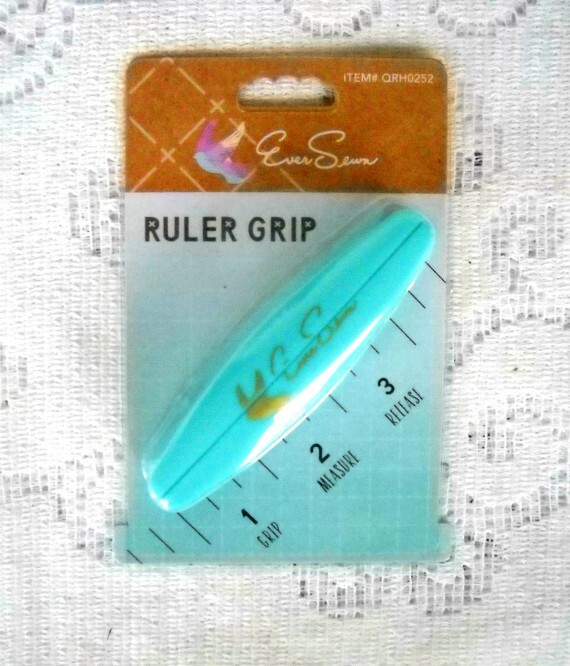 This ruler grip by Eversewn looks really handy! I've never owned one of these. 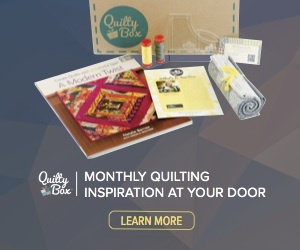 I love the notions Quilty Box includes every month. 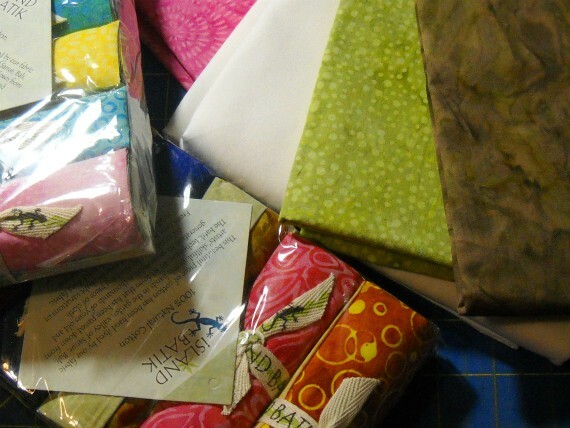 Little treasures that I go to again and again to make my sewing more streamlined and fun. They also tucked in an Omnigrid 5" square ruler to go with the grip. Aurifil thread in a gorgeous shade of gray. 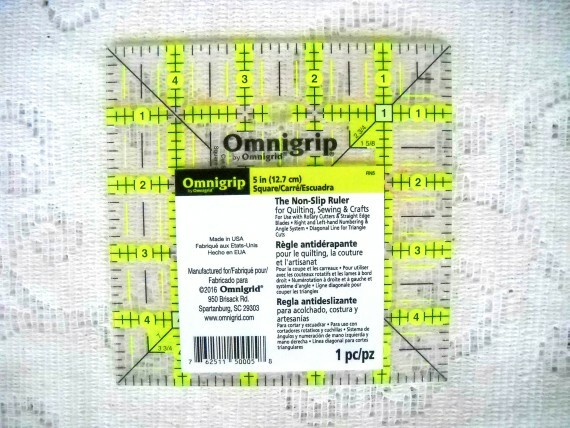 This should blend nicely with any fabric. 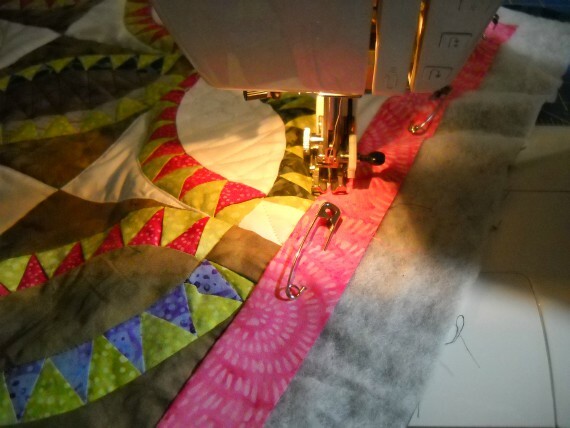 Sewing bliss! 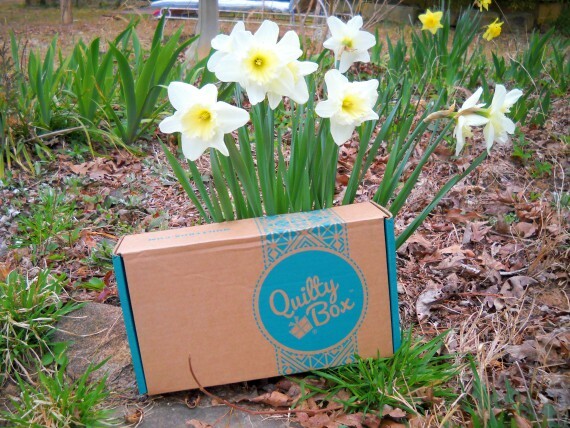 Are you interested in trying Quilty Box yourself? Click on the above link to visit their site. They have a variety of plans to fit everyone's budget. 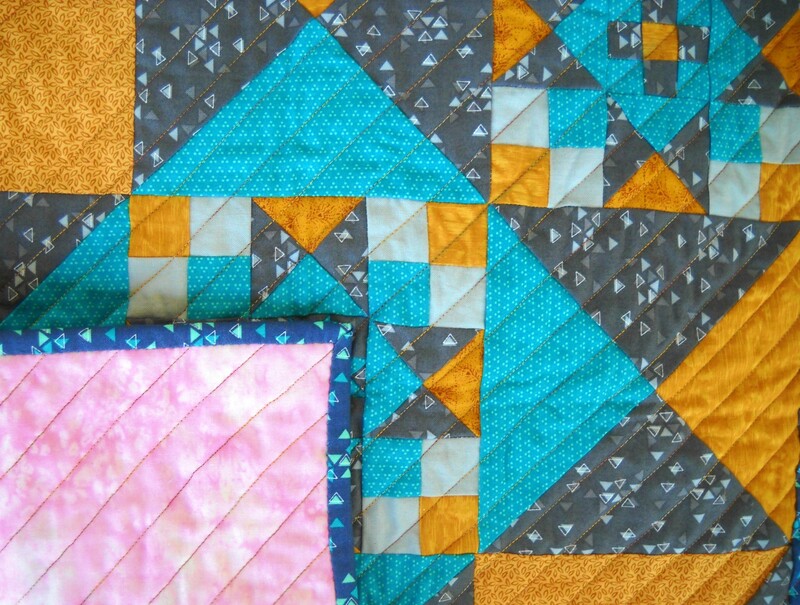 Are you interested in owning one of my quilts? The Modern Mini Star quilt is currently for sale in my Etsy shop. 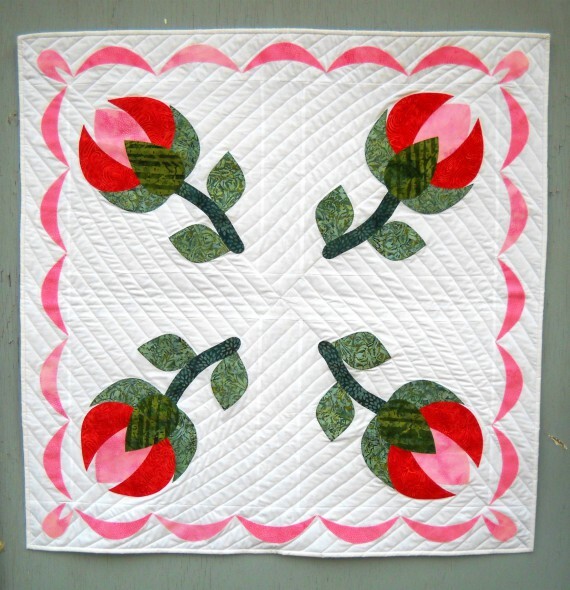 This quilt would be lovely for a housewarming gift, a table topper, or as a small wall hanging. 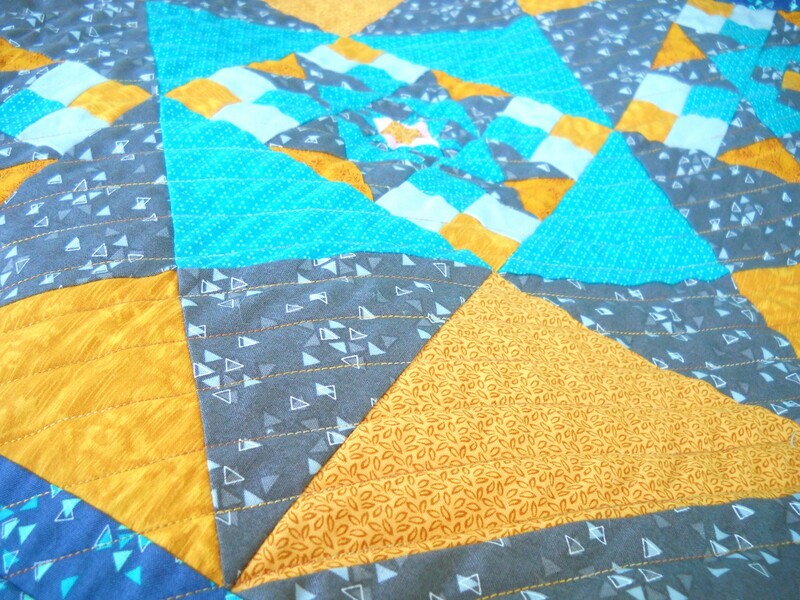 Divine yellow and blue stars parade across this quilt, adding sparkle to your table top or wall. 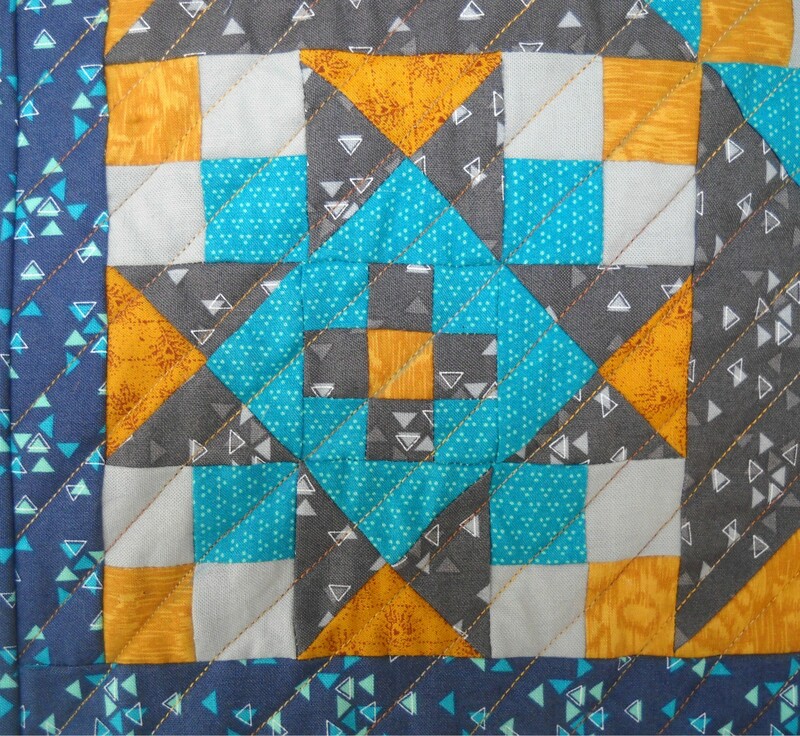 This quilt is quilted with yellow thread in a diagonal straight line design. This quilt measures 20" x 20", and includes a hanging sleeve. 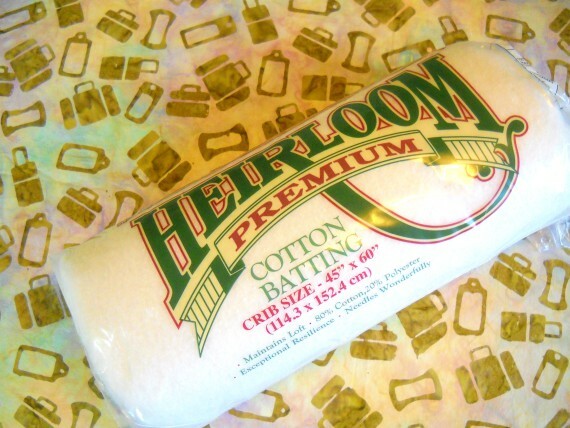 All fabrics are 100 percent cotton. 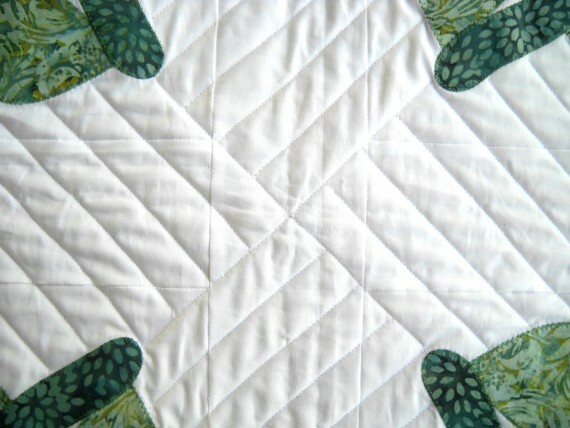 This quilt was designed, stitched, and quilted in my studio by me. 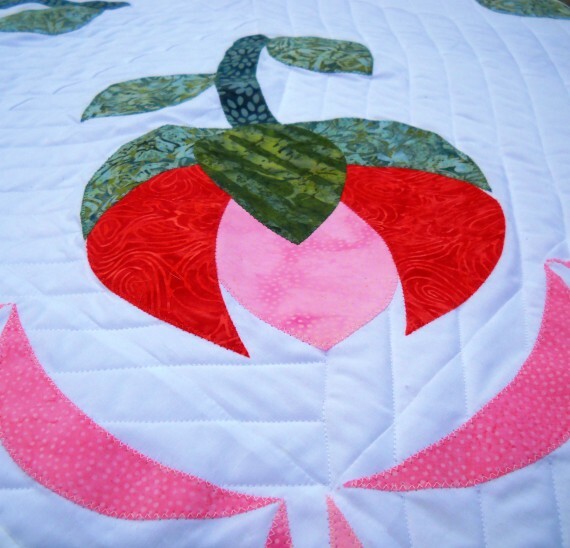 The back of the quilt is a pink fabric. 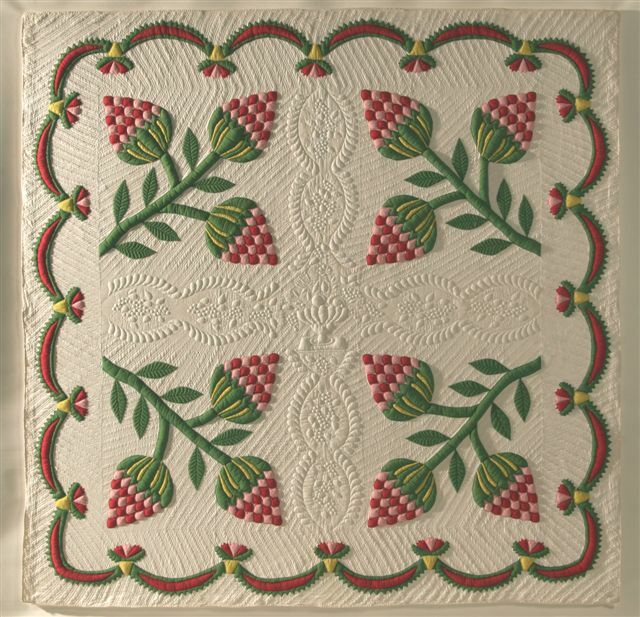 A label is affixed to the back stating the quilt's name, my name, the date completed, and where it was created. The inner batting is high quality 100 percent cotton. 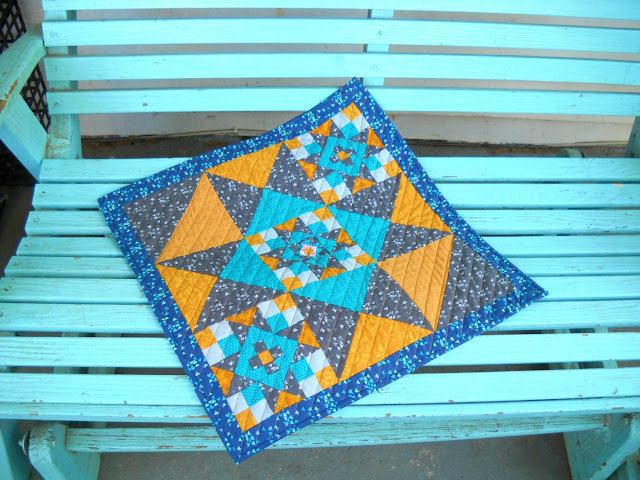 Click here to purchase the Modern Mini Star quilt now. This is an affiliate link. Clicking on this link will not change the purchase price. 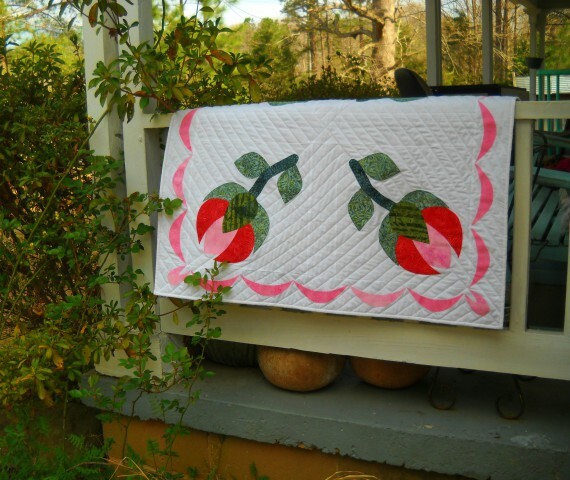 Today I'm sharing the Making of the Miss Minnie Sue Pickle quilt. 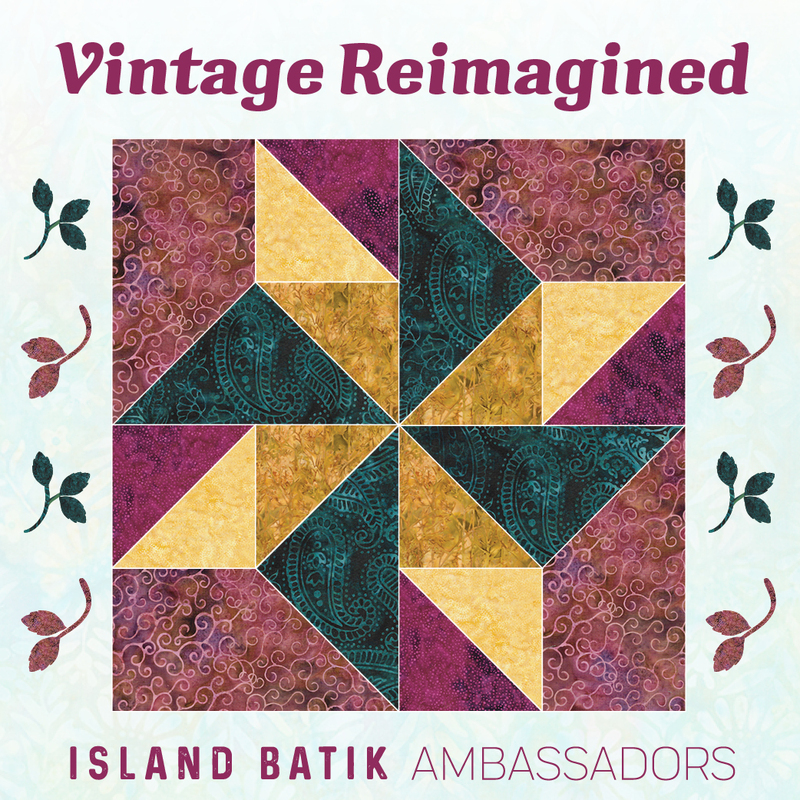 I made this quilt as an Island Batik Ambassador challenge and I just love it so very much! 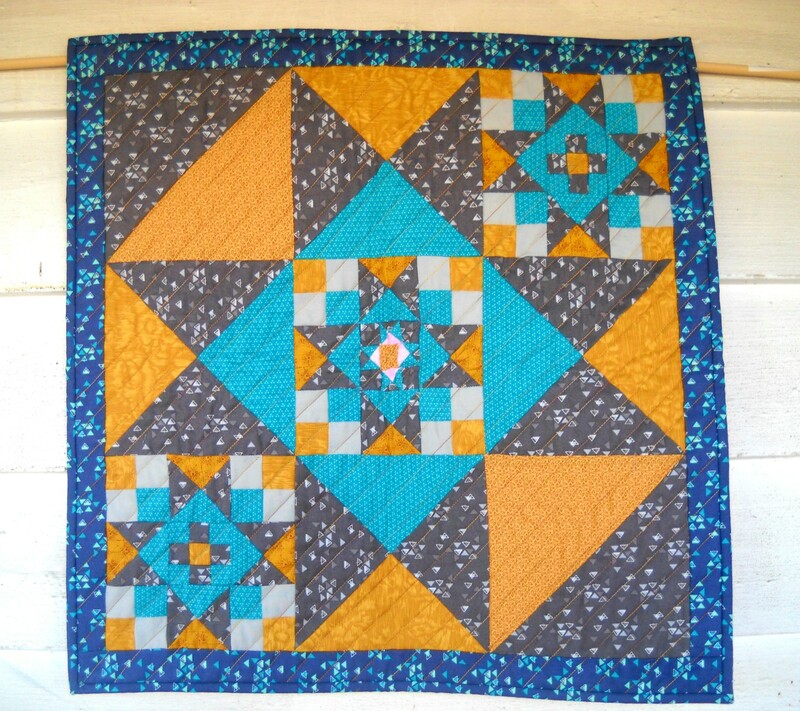 It's one of my favorite quilts. 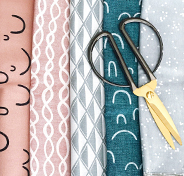 I chose my fabrics from the above selection. 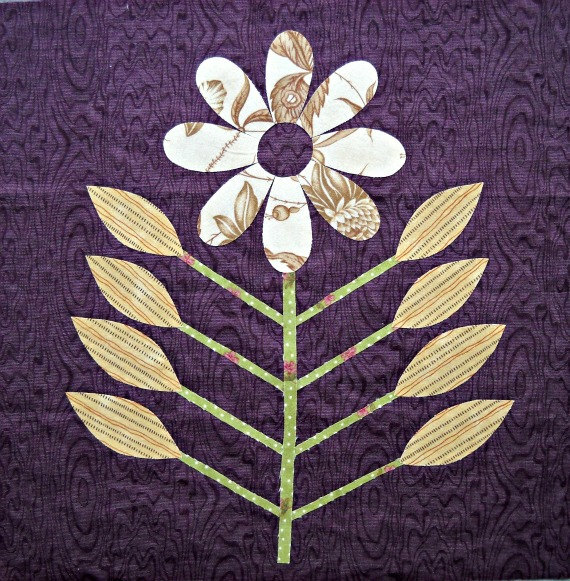 I love Island Batik fabrics! 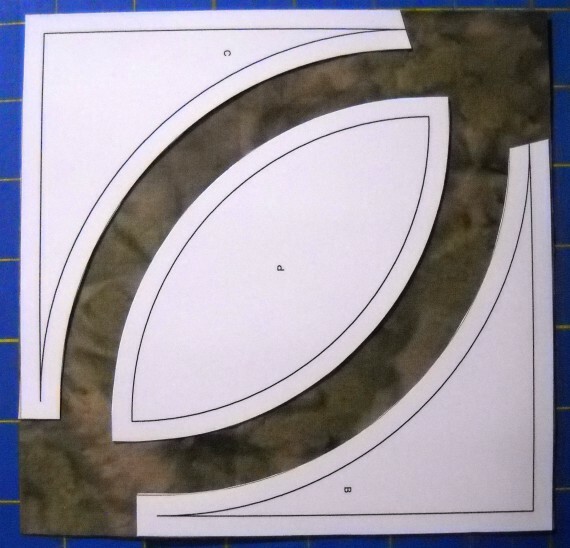 I made some templates to cut out the curvy background pieces for each block. 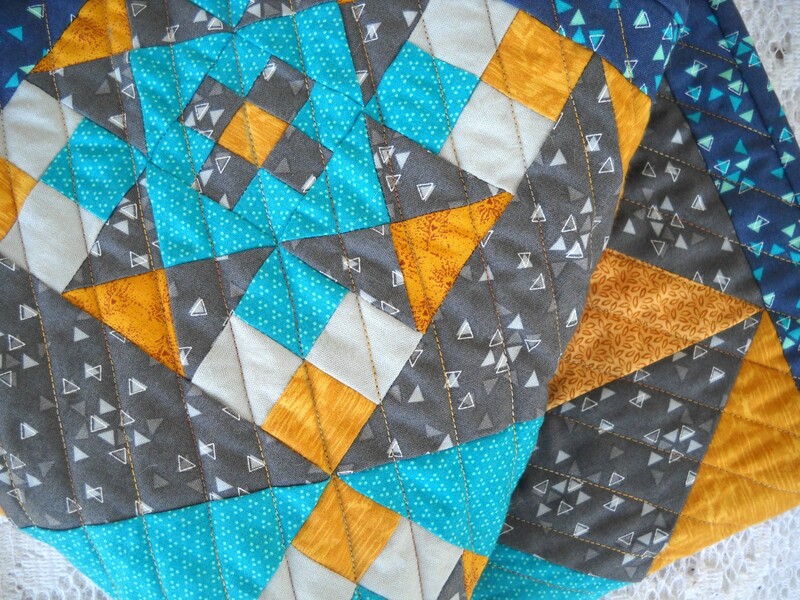 I find it easiest to cut squares of fabric and then lay my templates on the squares to mark and cut the pieces. 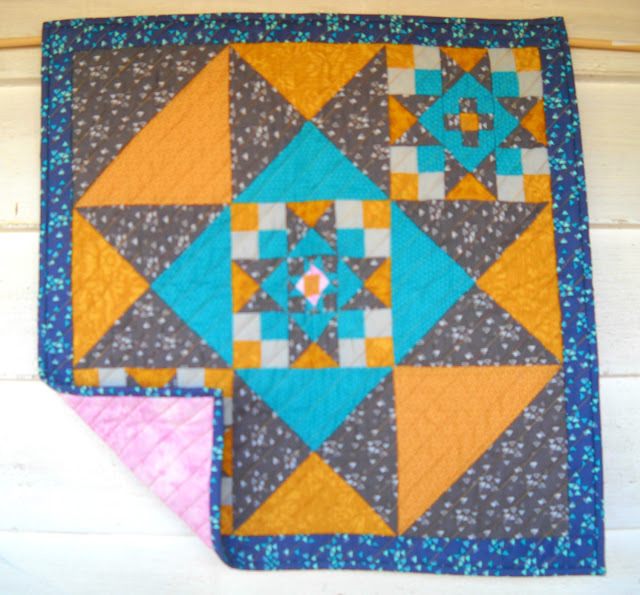 See how the corner pattern pieces fit snugly into the corners of my square? I don't even have to mark those two sides of the patch. Easy peasy! The triangle arc sections were paper pieced. 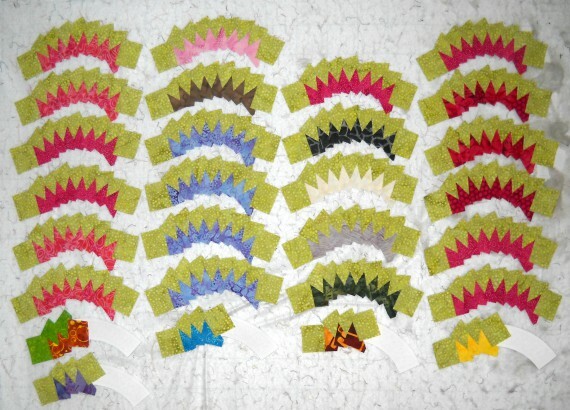 Here they are on my design wall in various stages of piecing, and not yet trimmed. When you stand back, they look like a lot of eyelashes to me. 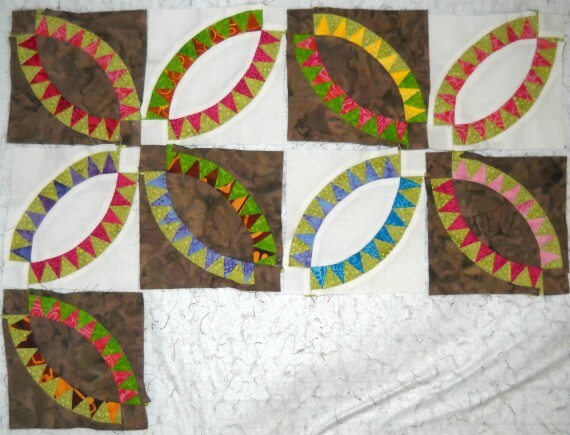 After trimming, I sewed the curvy triangle arcs to the outer background patches. Here are a few of the blocks coming together. 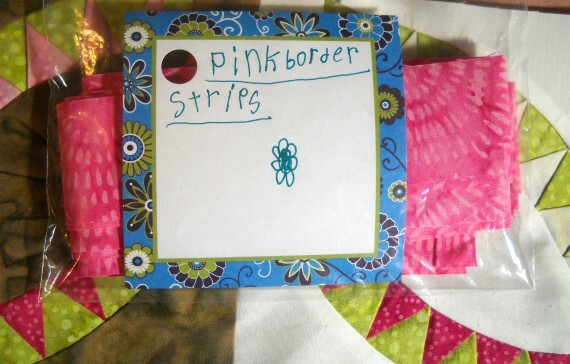 My pink border strips, lovingly labelled by my son, Trent with a flower. 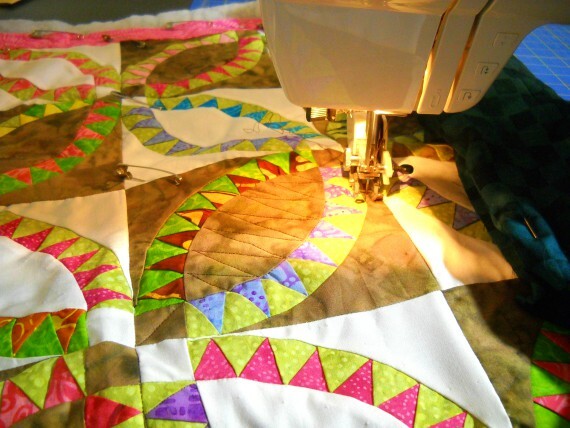 Quilting time! 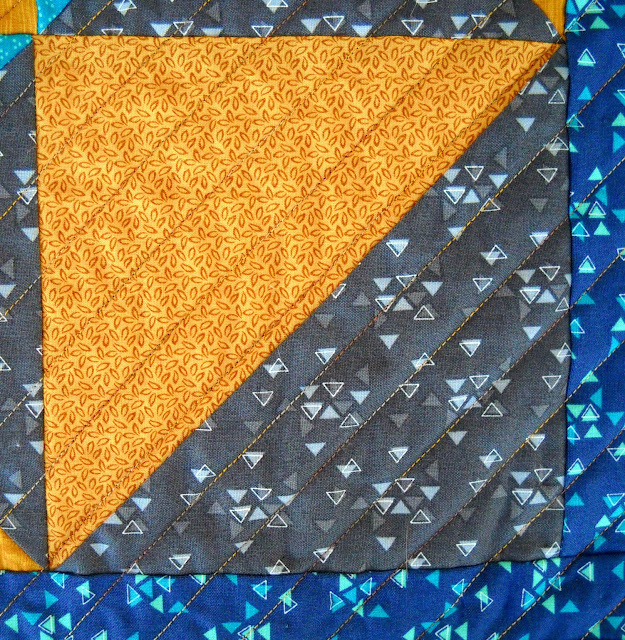 I quilted a zigzag across the center of each block, and simply outlined the rest of the patches. 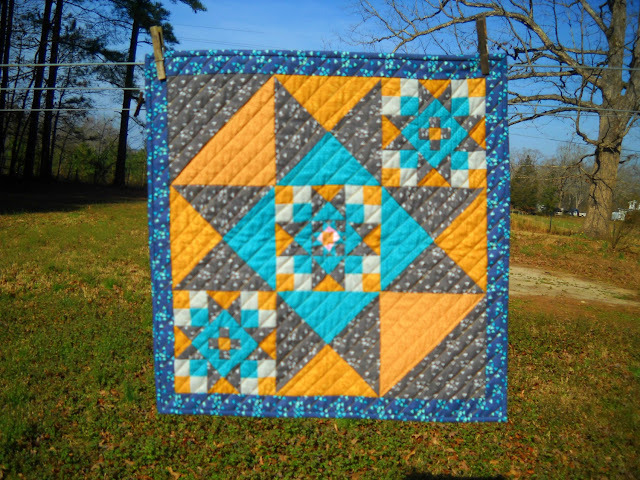 The finished quilt, getting a little sunshine during the photo session. 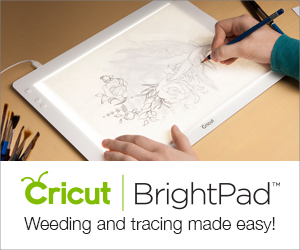 This is an affiliate advertisement. 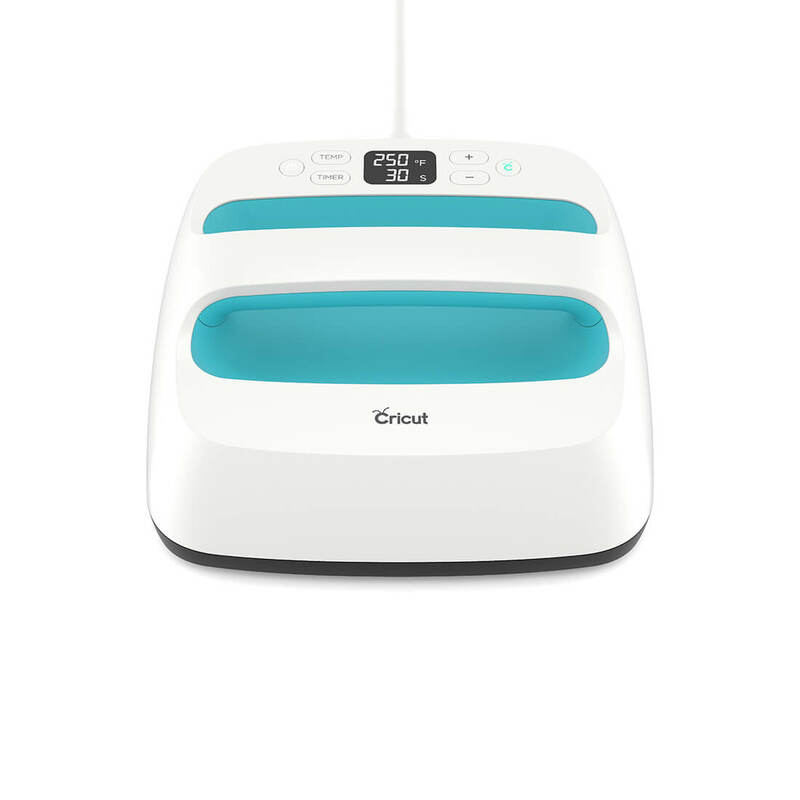 Clicking this link will not affect the purchase price.